In 1994, 800,000 people were killed in 100 days of systematic slaughter. Many sites around Rwanda now stand as memorials to the genocide. 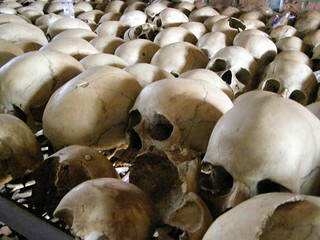 The remains of those killed stand as a testament to what took place.